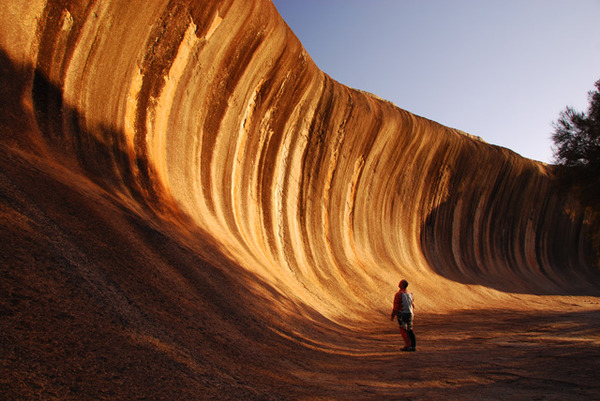 The Red Center has plenty of different names: the Outback, the heart of Australia, the never never... Uluru is now famous worldwide, and you have probably seen some pictures of the world's biggest monolith. However, if you really want to appreciate the scenery, there is no other option but to travel to the Red Center. 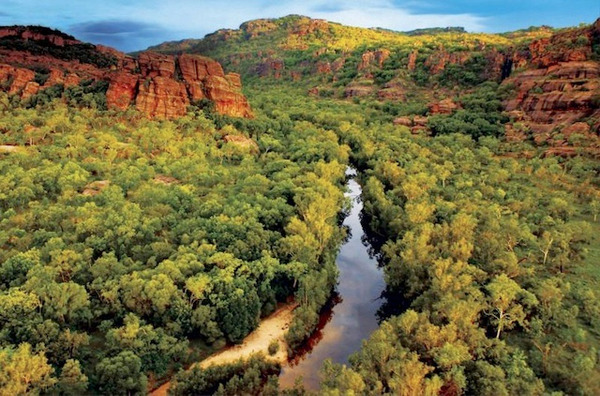 At the beginning of the afternoon, you will leave Ayers Rock Resort to make your way to the Watarrka National Park. 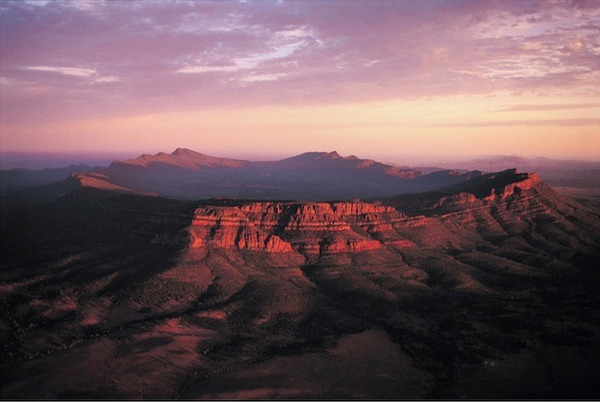 The journey takes a few hours, giving you a first insight into the magnificence of the Australian Outback. Your first stop will be at Kings Creek Station, an authentic outback station. By late afternoon, you will arrive at a secluded campsite, where you will spend the night. 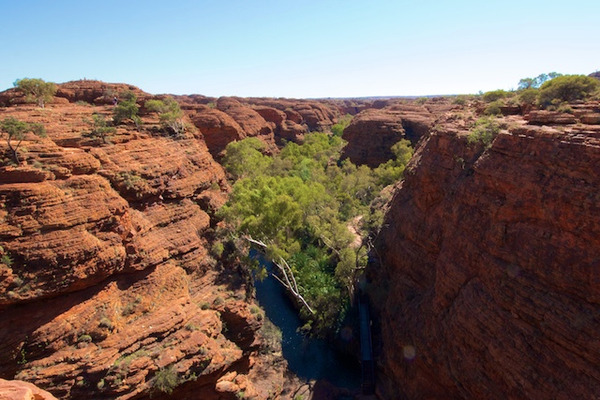 On this second day of your adventure in the Red Center, you will have breakfast before taking the start of a 6 km walk around Kings Canyon. 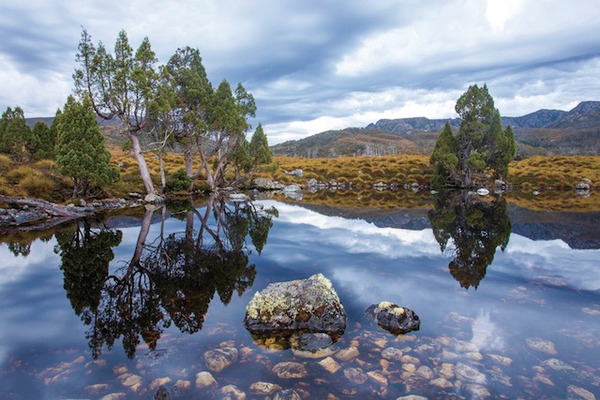 This walk, known as the Rim Walk, is one of the most famous and enjoyable walk of Australia. Your guide will provide you plenty of information about the local fauna and flora. You will discover the spectacular sandstone domes of the Lost City and enjoy great views over the canyon. Later on, you will descent down into the Garden of Eden, which is a true oasis of greenery in the middle of the desert! 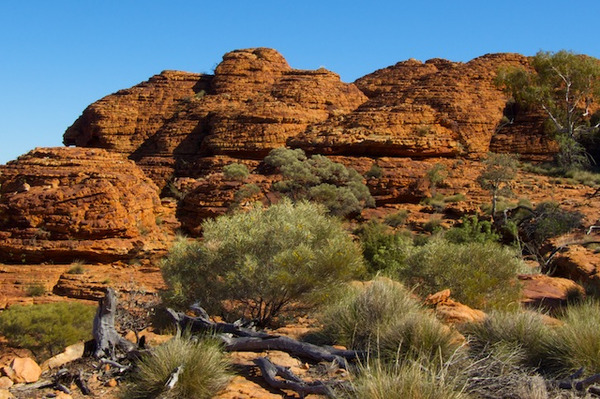 Getting back on the road, you will head to Kata-Tjuta, where you will spend some time walking around the domes with your guide. 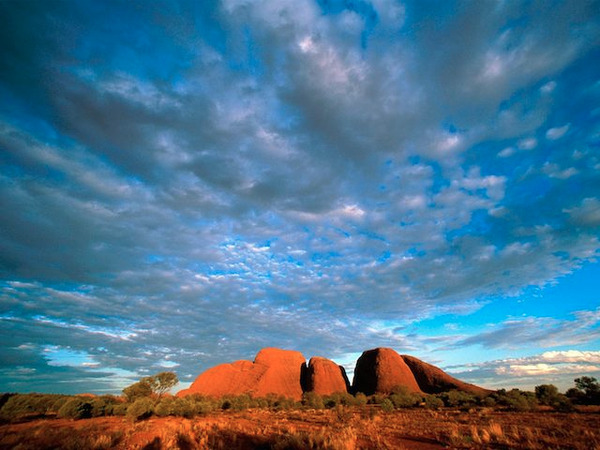 And of course, you will finish the day watching the world-famous Uluru sunset! You have already watched an Uluru sunset... but the sunrise is a completely different spectacle! You will watch this amazing spectacle of nature from a viewing area, before travelling to the base of the monolith. Uluru seems even more impressive! 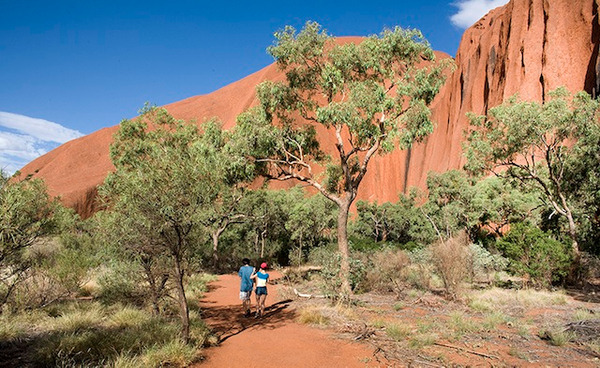 You will have time to take the start of an unguided walk around the base of Uluru. This walk will give you the opportunity to see a large range of flora and fauna (early in the morning, when the temperature is not too hot, is the best time to get a chance to observe bush animals! ), but also to admire ancient rock art and springs. You will then meet an indigenous guide, that will explain you the cultural significance of Uluru for his people, and have time to visit the Cultural Centre. The tour will finally come to and end in Ayers Rock Resort.